The three women serving in presidential roles for ASCE in 2018 – President Kristina Swallow, President-Elect Robin Kemper, and Past President Norma Jean Mattei – continue to inspire ASCE members, women and men alike. As president-elect, Kemper has been busy visiting ASCE groups all over the map, inspiring members in person. 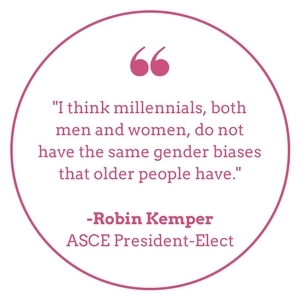 Interviewed via email for ASCE News’ month-long series, Women in Civil Engineering, Kemper touched on a variety of issues, including why she sees work-life balance as a triangle. 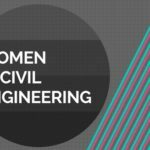 ASCE News: What advice would you offer a young woman entering civil engineering? Kemper: The first piece of advice I would tell a young woman, actually any young engineer, is to not let anyone tell you that you can’t or shouldn’t do something because they think it is not a good idea. Find your passion and follow your heart. But always listen to what are people are saying. There may be a good reason why someone suggests that you not do something, and they may be right in giving you that advice. But the person who will care about you the most is you, and you need to take ownership of your future and pursue it as you think is best. ASCE News: What is most responsible for the continued wage gap between men and women doing the same work, and how do we fix that problem? Kemper: I think what is most responsible for the continued wage gap between men and women is centuries of history and cultural role models. Women continue to be the major contributor to child raising, with little or no support from most employers and the government. Time taken for family is frequently interpreted as a lack of company commitment and can result in women (and some men) being relegated to the “slow track” of advancement. While spousal support is improving, women still tend to bear a disproportionate share of the family workload. But I think there is hope in the near future as the millennials move up into leadership roles in their companies. Typically, both men and women millennials want to have a more balanced life. If we change our culture to acknowledge and embrace a more balanced life and blur the traditional role models, then employers will become “gender blind” and the wage gap will close. ASCE News: What has been the single biggest challenge as a woman in the profession? Kemper: I believe balancing work and family is still the single biggest challenge for a woman in the profession. 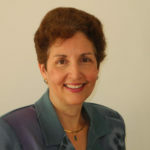 I heard Jacqueline Hinman [recently, CEO of CH2M] speak and to paraphrase her, you can do it all, just not at the same time. I refer to my life as an equilateral triangle. At each point of the triangle is one of the three most important things in my life: family, career, and ASCE. Throughout my life, the triangle keeps rotating around and what is at the apex of the triangle is what I am concentrating most on at that time. Right now, ASCE is at the apex of my triangle. My husband has a similar triangle, and he has found it not only doable but fulfilling. ASCE News: Who have been your mentors throughout your career? Kemper: Not surprisingly, my first mentors were my parents. They encouraged everything I pursued. There were times I wanted to take things to the next level, such as ice skating and horseback riding, but that meant a major financial and/or time commitment. Instead of saying no to me, we would have discussions and I would decide that it would be best if I did something else. Even though my father is a nuclear engineer/physicist, when I said I wanted to study architecture, he never tried to dissuade me or even talk to me about engineering. He only asked that I consider applying to Rensselaer Polytechnic Institute, where he was a professor. My next mentor was the chair of the civil engineering department at RPI, Dr. Larry Feeser, [an ASCE Distinguished Member]. I decided in my sophomore year that I wanted to double-major in architecture and civil engineering with an emphasis on structural engineering building design. It was Larry who crafted a program for me to get my B.S.C.E. with only taking courses in my junior and senior years. It was Larry who introduced me to ASCE. I consider Larry to be one of my key mentors to this day. The rest of my mentors are my ASCE family. There are more names than I can list but Chuck Pennoni, 1992 ASCE president; Greg DiLoreto, 2013 ASCE president; and Pat Natale, ASCE past executive director, are people who especially helped me in making decisions in my career and ASCE. ASCE News: At what point did you feel like you were in control of your career? Kemper: This is a difficult question for me to answer because on some levels I feel I have always had control of my career, but on other levels, I am always being subjected to the whims of the economy. I have been laid off three times in my career. My first job out of graduate school was in Louisville, KY, because that is where my husband was pursing his doctorate. I always wanted to work with architects doing their structural engineering design (don’t forget, when I started college, my major was architecture). But in Louisville I got a position at Bechtel and spent my first nine months designing drilled caissons. Not exactly what I envisioned I would be doing in my career, but it was great experience nevertheless. I tell people that all experience is good experience, even if you hate what you are currently doing. You can learn as much from what you don’t like as you can from what you do like. It wasn’t until we moved to New Jersey that I got my “dream job,” working at a structural engineering consulting firm doing building design. 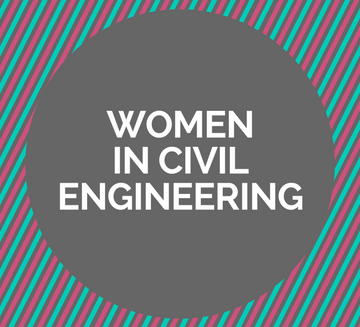 ASCE News: What aspect of the profession do you think still most needs to change for women to maximize their potential and opportunities as civil engineers? Kemper: Talking to young women, what I find the most disconcerting is hearing that quite a few of them find the workplace not inviting and sometimes hostile. Therefore, aspects of the culture need to change. Change is difficult and most people fight it, but change is always necessary for progress to occur. I believe some change will occur as more millennials move into management positions in their firms. I think millennials, both men and women, do not have the same gender biases that older people have. I believe it is important that if someone is not happy about a workplace situation, they need to take the initiative to try and change it. Change will not happen unless you become part of the solution. But to maximize the potential and opportunities for our future civil engineers, both men and women, I think the profession needs to become more people oriented. Employers need to recognize that their employees are multifaceted and have more to offer than performing their regular assignments, and have interests beyond the confines of their office. After all, we are a service profession. And service is helping or doing work for someone, or in other words, service is about people. 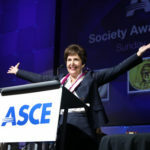 ASCE News: What sign of progress gives you the most hope as you look forward to the future of the profession for women? 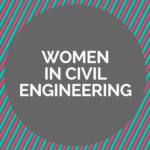 Kemper: What gives me the most hope as I look to the future of women in civil engineering are all the great women leading Student Chapters, Younger Member Groups, Sections, Branches, and Institutes whom I have met. Based upon my personal survey of the recent colleges I have visited, in general, the number of women students pursuing engineering was approximately one-third. Yet I find a disproportionate number of women in leadership roles; many times more than half of the leaders are women. Thank you for sharing your insights, Robin. There have been a lot of changes in the 30+ years of my career. Following the paths I believed were the right choices for me, and relying on either my internal confirmation or choice for re-direction have been essential for my professional satisfaction and personal growth.